SMART Tech Manufacturing & Electronics India Congress 2017 | Le Meridien, New Delhi | Konnect Worldwide Business Media Pvt. Ltd.
With India having the 4 th largest Start Up ecosystem in the world – The electronics, electronic components, systems & applications market of India is one of the largest in the world and is expected to reach USD 400 billion in 2020. This market is projected to grow at a CAGR of 26% during 2017-2020. Govt. of India is implementing ambitious approach of developing a business ecosystem in India for a globally competitive ESDM industry sector with a target of attracting an investment in excess of USD 100 Billion and generating employment for 28 million people. With a target of ‘Net Zero Imports by 2020’, the Govt. of India has implemented several initiatives to promote electronics manufacturing in India. Being India’s Prestigious & Most Comprehensive - The forum aims to showcase India’s ESDM industry capabilities & attract investments in the country with ‘Invest in India ’ Theme. 2017 program is focused on business and strategic issues – 5G India Leadership Summit 2017 is focused on challenges faced by Telco CTO’s for maintaining network quality due to data explosion – The summit also brings potential clients & network infrastructure vendors on a single platform who can offer best solutions for building world class best 5G networks. This summit has the potential to accelerate business innovation and address the challenges expected to be faced by Telco CTO’s on moving towards 5G Era ! 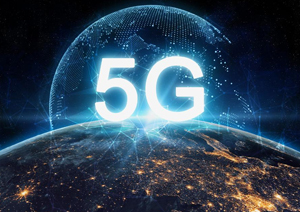 Capitalise from SON & 5G Leadership in India !